"Great products, great pricing, and fast shipping." "I think Lillian Vernon has a great selection of gifts for kids and home decoration items." "LOVED the product I purchased." "Mostly I have always enjoyed what I have purchased and been pleased with the quality. Recently I was awed at the exceptional customer service provided when a return/exchange was needed!" "Have always been very happy with your products. We have now ordered stockings from you for 11 years!" "Excellent products, quick shipping and knowledgeable customer service." "I am very impressed with the quality of the items I have ordered." "I really like your personalized products." "Great products, great prices, great customer service." "I have always been pleased with the quality of products that I have ordered and the price." "I LOVE THE QUALITY OF YOUR PRODUCTS !!!!!!" "Easy ordering process, good prices, delivered on time." "I had an all around pleasant experience with Lillian Vernon around the holidays. The busiest time of year and everything went smoothly and customer service rep was helpful and very nice to work with." "You have the best items that normally I can not find anywhere else! I love the variety and the fact you can label these items that no one else has!" "I love the personalized products & holiday decor." "You have some unique items that you cannot find in stores. It is easy to order." "Order delivered in time. Staff very helpful. Easy to place an order." "Nice merchandise and fast shipping." "The verity of products at an affordable price. Also the monogramming free of charge. The customer service and attention to the customer given to ensure satisfactory." "Purchased towels for my sons a good 25 years ago and they held up great and just purchased beach towels for my grandchildren." "My experience with Lillian Vernon has always been very good. Merchandise is always of excellent quality and arrives in a timely manner. It also allows me to shop from my home." "Always have the best Customer Service, and have never had an issue with any order." "I like the products offered; how accessible and affordable they are." "As a grandparent, I love your seasonal decorations for my home so the grandchildren will make some happy memories of Mimi and Pa's home." "Great selections and prices, never had a problem with what I purchased. My grandkids love the catalogs!" "I find things in Lillian's catalog I don't find anywhere else." "I love the personalized children's items!! Each time I order an item for my great-granddaughter's it's of the best quality and their names are always PERFECT! My granddaughter receives so many compliments!! We love to shop Lillian Vernon!" "Receive orders quickly. Very good quality." "I have been shopping at Lillian Vernon for years and have never been disappointed." "Always quality, affordable products and easy returns." "Really love Lillian Vernon !!" "I always find the perfect item I am looking for either in the LV catalog or online. The quality of the LV products is awesome." "Love the company, love the products. Service is great - good shipping times. Have never had any problems with anything I have purchased. Lots of personalized products offered, which I love. The embroidered Christmas stockings have been in our family for years, and I've been able to add to the collection as our family grew." "Good prices. Nice products. Quick shipping." "Great prices, free personalization, great quality"
"The quality of everything I have bought is great! I have never been disappointed :)"
"I thought the gift I ordered was very nice, and very well made. My mother loved it. She has it hanging on her wall now. Its a Christmas tree with all the kids names on it." "Love Lillian Vernon ... lots of great things ... good prices and quality ... fast delivery ... personalized items especially nice. Quick online access as well as catalog." "I have been very happy with all my orders and y'all have the cutest stuff." "Lillian Vernon carries many useful, helpful items for around the home at reasonable prices and good value. I have never been disappointed." "Everything I have ordered from Lillian Vernon has been exactly what I wanted, of good quality and at a fair price." "Have enjoyed the products over many years." "My grandsons LOVE their sleeping bags!!!" "You offer unique and high quality products!" "Great products and terrific service. Fast delivery." "When looking for a gift you can find different and special gifts in your catalogues." "Quality merchandise reasonably priced and the company stands behind their products." "Good products, LV has been in business a long time and always offered good service. Quality is above average and they offer unique gifts at a reasonable price. I especially like the gifts for children." "I have ordered from Lillian Vernon for years. The company is reliable, ethical, sells quality products and exceptional customer service." "Overall great service, prices and selection." "Very happy with your product and quality"
"I have dealt with Lillian Vernon for many years, and have always been pleased with the selection and quality of the merchandise." "I always get what I ordered, good quality, prices and also personal attention." "As a manager at a retail store, the customer service level was impeccable with your online associates. Your products last a very long time they are amazingly made." "There is always something of interest and that is unique at Lillian Vernon." "You carry products not found in stores. The quality of the items are A+. Your prices are reasonable and shipping is quick. I love the variety of items that you carry. I have never been disappointed in all that I have bought!" "Colorful & easy to order website. Reasonable prices. Good quality merchandise." "The quality of products I have ordered has always been very good and they came exactly as described." "I've been a Lillian customer since my daughter was small and now she's planning her wedding. Always have been satisfied with the merchandise and you tend to make it your own - UNIQUE- Now the second generation of family is starting and I have already begun shopping for them." "You carry products that I like and can't find in stores! Therefore, I have things that no one else has. The quality of your items are very good. I buy a lot for gifts that my friends love! Always being asked,"
"Good products at a good value. I've been a customer on and off for many, many years." "I love the products, and the quality of the products. I have bought the calendars and other various gifts for family members and my children. They always love them." "I've never had a problem with the product or service. Fair prices and great variety. I'm very thankful for Lillian Vernon"
"The products sold are top quality and innovative, interesting, and lots of fun." 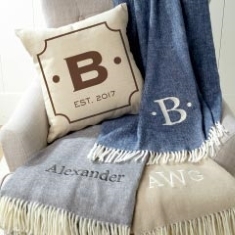 "Beautiful items that are hard to find and useful for anyone for their home; I especially love the Madame Alexander prices and gift selections for children." "Quality products, nice variety, excellent delivery service and good prices." "They have 100's of items to chose from and more. You can call or email them you list and they will take care of it and help you to the max to find what you are looking for." "Quality and uniqueness of products. I especially like the monogrammed items. They are so different and make great gifts. You can always be assured that your gift will be one of a kind!! They are especially good for children. They love to have things with their names on them especially if they have brothers and sisters." "The products you offer are unique and are of a great quality. Sometimes your company is the only place I can find a particular item. I have been ordering from your company for the past 18 years and I am very pleased every time I place an order :)"
"Lillian Vernon has unique products that are high quality without being overpriced!" "Personalization of products was the reason I bought my items. It was great." "I have always been pleased with every thing I have ordered, have been ordering from them for many years." "Extremely happy with the floor pillows I ordered." "Great products! Free personalization! Great value!" "Unique and a diversified range of products, quick turn around time, and excellent customer service." "Unique products, personalization, the best customer service." "I've been happy with the products that you sell, especially the personalized items." "Very pleased with the quick delivery of the products ordered"
"Great service, quality of the products are good. All around nice to shop with you." "I love the products and the timely manner in which I receive them." "I've always had great service. Orders are always correct! Prices are great! Imprinting is a PLUS!" "Lillian Vernon offers quality items at a reasonable rate along with a helpful and attentive customer service team." "Always happy with the service provided." "The product was well made and beautiful, the embroidery lovely." "Good service, good stuff, every order filled promptly!!" "Wonderful workmanship---quick delivery Showed it to my friends-----they were amazed at the great price for such a quality product !" "Easy to order on line. Product was sent out on time as promised. Product was intact as ordered." "I always like the items you offer. A personalized gift means so much more to someone and you offer these lovely items at a reasonable price." "I like the variety of hand towels. You have amazing home décor." "I have received great products and people are always asking me where I ordered them from." "Lillian Vernon has merchandise that you cannot find anywhere else and it is good quality merchandise at a reasonable price. If there is a problem with your order, Lillian Vernon's customer service is excellent at remedying the problem. Orders are shipped quickly at a fair shipping rate." "I found a unique item for our home and it arrived quickly!" "Products are above my expectations; telephone reps are very, very patient, kind, helpful. I've never had problems ordering and have never needed to return any order." "Quality merchandise, fast delivery, great prices!" "I like the unique products you sell." "Always great service, wonderful personalized products and fast delivery." "I love the large assortment of items in your catalog. Customer service is great. And, when I need to add that personal touch, I can rely on Lillian Vernon to have just the right thing. I have been shopping through their beautiful catalog for years and years. Now, placing orders through the internet is quick and easy. Good delivery speed as well." "Anything I have ordered has been sent quickly and always what was advertised." "There are many sources for most products out there, and I have not tried them all. However; everything I HAVE bought from you has met or exceeded my expectations." "I like the products that I have received from Lillian Vernon. They always arrive in great condition and on time." "Great selection of products at a great value." "Your website is very easy to find what you want ." "Can find novel items I need and shipping is prompt even during holiday times. I have shopped with Lillian Vernon well before computers came to be....now with online shopping, it's even faster and easier than before." "Customer service is good and received order right away." "Excellent customer service, speedy delivery, quality items that are unique." "Wide variety of products; free monogram on items; items received are as they are depicted online no surprises." "My bags are beautiful and professionally done. I was a little worried about how fast they had been shipped to me after the order. No worry, they look great. They even gave me a discount from the price I thought I was paying, they must have went on sale. Thank you Lillian Vernon on doing a great job!! I will definitely order again." "Good help from individuals who take orders. Prompt delivery on time schedule as promised." "I think you have fine quality merchandise, and I enjoy the items that I purchase from you." "Great gifts and love the ability to personalize items." "I received a wonderful product (personalized suitcase for my niece) and she absolutely loved it." "Been dealing with the company for years and they have yet to disappoint!" "Loved the merchandise. Fast service. Never disappointed." "Lillian Vernon has been around a long time and has proved itself to be a good company that I can rely on." "Excellent customer service representative. He was very helpful in my ordering a personalized item. He went out of his way to make sure I ordered the right thing. I appreciated his expertise." "Items I have ordered were good quality and value." "My first order with Lillian was delivered on time, good quality product, loved the personalization you offer." "I think Lillian Vernon is a great company and I have purchased a lot of great items from them." "I bought a personalized lunch box, and my daughter liked it so much. I posted the picture in Facebook and all my friends liked it as well. I am so satisfied. Thank you." "Your items are high quality and I like your selections." "All your products are unique and very personal." "Good service and fast shipping." "I love the product that is offered and the option to personalize it! The quality is superb!" "Merchandise is beautiful when you get it at home and prices are great. The people that help you out live are amazing. I had a chat with representative his name Tony. He was just wonderful and very professional." "I've always been satisfied with products I have ordered from here." "Good customer service and shopping value." "Everyone I talked to was very pleasant and I had a problem and they took care of it immediately. You don't find this very often lately with stores even the high end ones." "Products are great and shipped quickly." "Love the variety and value of the products that Lillian Vernon offers"
"Product is at a great price you receive it fast and the quality is great." "I've used Lillian Vernon for years and have always been satisfied with them." "Top quality merchandise at fair prices and great customer service department." "Love getting personalized products at reasonable prices! My kids have uncommon names, so it is really special to them to have things with their names on them!" 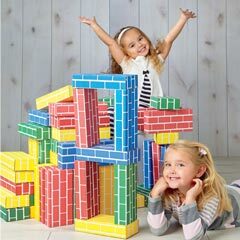 "Unique gifts, especially for kids! Being able to personalize many of your products makes them so fun to give and much appreciated by the receiver." "The main reasons I shop Lillian Vernon are for the easy ordering and purchasing of specialty products. 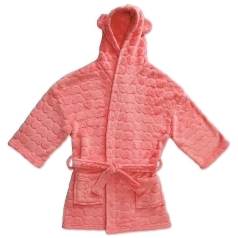 I generally, search online at Lilly's Kids first when I'm looking for a kid-friendly item. I am a mom with 4 children under the age of 10. I recently purchased Pilot Cases for my kiddos for our family trip to Disney World. These cases helped make our traveling so much easier due to the sturdy construction, and the ease in which each child had handling their own carry-on bags." "L.V. has quality merchandise that is generally unique. Fair shipping options and on time delivery." "I like the merchandise, and have never had an issue with quality or delivery." "I love the hand towels..always getting compliments about my bathroom decorations. Customer service is very friendly; have not had a bad experience." "You are the only place who put names on everything for free. I have got all my kids and grandkids large duffle bags with there names on them for when we travel . No mix ups!!! And you have things I don't see anywhere else. If I do your prices are very good and with my bunch I can't spend a arm and a leg for things!!!" "Lillian Vernon is a great store to shop at and find unique items." 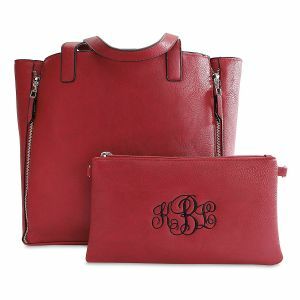 "The quality of the merchandise is awesome along with the fact that the free monograms give every item that special and personal touch." "I have been a customer of LV for @ least 30yrs and have always been satisfied with my purchases!" "I have always gotten quality products when I order. Very satisfied. I especially adore the Lilly's Kids. I have bought selections from here for years. As my nieces and nephews have grown, I have gotten their feedback on gifts I got them, hoping to use the feedback for my grandkids. The feedback is always positive." "Great customer service and excellent product quality." "I really like the fact that so much of what you sell can be personalized!" "I like your merchandise!!! Prices are reasonable and merchandise is very attractive. I love Lillian Vernon merchandise!!!!!" "Fast shipping, free personalization, great quality of products." "I found the PERFECT beach bag for my niece that I was able to have you guys monogram it...and was able to get it in her sorority colors...pink and green, she absolutely loved it!!! I just ordered it and had it shipped to her 'just because'...she is a very special person and sometimes we all need to be reminded of that." "Customer service employees are friendly and efficient." "I like your products, they are more reasonably priced than some competitors, and deliveries are timely." "Your merchandise is extremely affordable, and the quality of your products is outstanding. I have never been disappointed with anything I have ordered. I have things from LV from years ago, and my grandchildren, the oldest 23, still have their personalized towels and accessories I bought them when they turned one years old and each and every year after that, so to me, that speaks volumes." "Good product, fast turn around." "I buy a lot of personalized items from you & have NEVER been disappointed..."
"Excellent customer service. Quality products." "I can get unique gifts that I can't get anywhere else." "The service I received every time I have placed an order was FANTASTIC." "I love looking at the catalogue and find things that aren't in any store." "Quality super I've made several people very happy thru out the years. Especially kids!!!" "Good customer service! My order arrived sooner than I expected and arrived in great shape. Item exceeded my expectations." "I have shopped with this company for many years - have always gotten quality products, good shipping costs, and nice selections of items. They keep new things coming!" "Products are good quality & service has always been good"
"I find that the products I have ordered recently are of good quality. I usually have the names embroidered and they are done very well. I have purchased items from Lillian Vernon for over 46 years. Initially I would purchase items for Santa stocks for Christmas for my children, and am now purchasing for my Grandchildren." "The items that I purchased were much better than what I expected! The price was extremely reasonable." "Excellent products & fast delivery. Always keeps you in the know of what's going on." "Lillian Vernon has unique, high quality items at reasonable prices - plus great deals on shipping and additional discounts!! What more can you ask for?" "Good selection and I love the free personalization offered." "I like the unique products and personalization. The prices are reasonable and all the products we have been very satisfied with everything we have purchased. We have had excellent customer service as well." "Good variety, quality, and prices on items. Very good customer service." "Whenever I've ordered from Lillian Vernon (by catalog back in the day; online more recently) my order comes quickly and is exactly as portrayed. I don't like surprises and I don't get them from LV." "I love your products , fast service is also great. 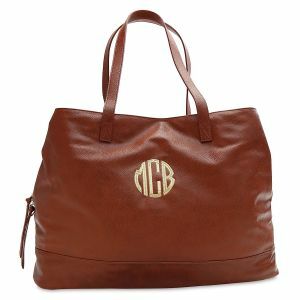 Free monogram is especially nice." "I have been happy with all the products I have purchased. Good customer service." "Unique gifts, good customer service." "Throughout the years, when ever I have needed a high quality, reasonably priced gift or something for my home, Lillian Vernon has been at the top of my list as a resource. My financial situation has changed drastically over the years and I now live solely on disability, but Lillian Vernon is still there for me when I am looking for a quality item." "You have items that I have not found anywhere else." "Love your catalogs and all the merchandise. Delivery was prompt and wrapped well." "The products I have purchased have been of great quality, the service has always been excellent & you offer lots of choices of items at reasonable prices." "Love your stuff...great prices...fun to look at the catalog." "Great variety of personalized gifts at very reasonable prices." "Love the products. So fun and different than other places." "I have been very happy with all products I have purchased, length of time to ship the products, and packaging/condition." "Have always been satisfied with products and service." "The products are of excellent quality. I have never been disappointed with anything I have purchased." "The products I ordered arrived early and were exactly what I anticipated." "The prices and shipping are reasonable. The products are super cute and I love the free personalization. Regular promo offers increase the appeal." "Excellent customer service and good quality merchandise." "Beautiful and unique gifts & reasonably priced, too!" "I like the products that I ordered and they came in as fast as I ordered them! Everything was perfect!" "I have always been pleased with everything I have ordered from Lillian Vernon." "Great service, great prices, great items." "Have bought from LV for many years and was never disappointed. Always quality products offered and well depicted in catalog/online. Last item bought was the Army blanket with my son's name/rank embroidered. What a big hit it was for his 30 year retirement party! I remembered seeing it a couple of years ago and thought it would make a great present for him. Sure enough, you still had it available this year when I needed it. Many thanks." "Shipping was fast, price was right and I received a phone call from customer service to correct an error I made on my on-line order." "I have shopped Lillian Vernon for years & have always been pleased!" "When I order from Lillian Vernon, I am always pleasantly surprised by the superb quality. And only once have I had a problem with an order and when I called, it was immediately corrected without a bunch of hassle." "You are easy to deal with, order from, and the merchandise arrives quickly and in good shape."